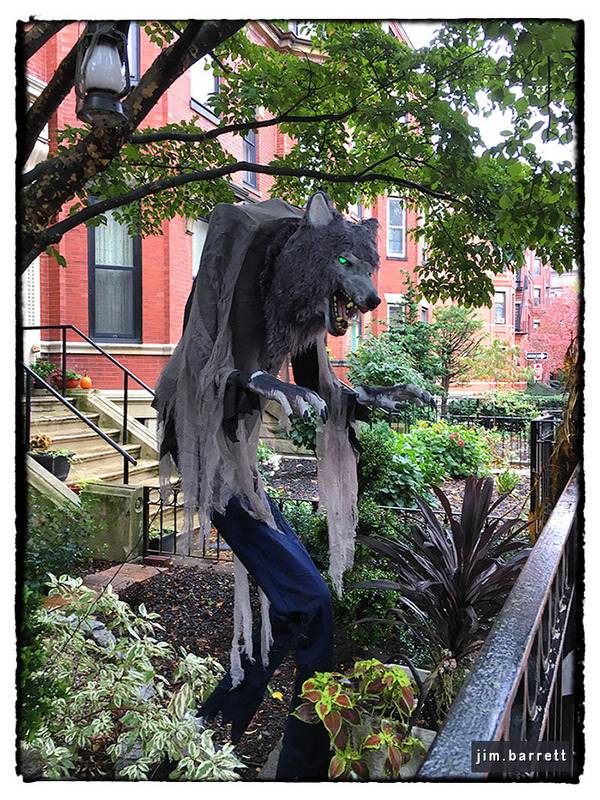 Werewolf spotted on Marlboro Street in the Back Bay. Appropriate decor for the occasion! That is a scary one! The illuminated eyes are a nice touch. I trust it will keep the pests out of the garden.